The removal of a nearby road and the construction of a new, off-site, visitor center will return England’s prehistoric stone circle, Stonehenge, to a more tranquil, natural setting. October 22, 2013—There are some monuments so well known globally they need no introduction. 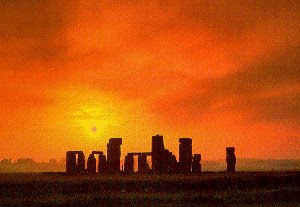 Stonehenge, the prehistoric stone circle located near Salisbury, in the English county of Wiltshire, is one of them. Modern experiences of the circle had been marred, however, by a busy road that cut through the countryside adjacent to the monument, an associated security fence, and a nearby parking lot. Last month, English Heritage, England’s agency devoted to protecting the nation’s cultural and heritage resources, announced that a new, off-site, visitor center will be completed by this December. Work has also begun to deactivate the road—the two-lane A344—and remove the fencing and parking lot. The road’s closure and the opening of the new visitor center, located 2.1 km away from the circle, are part of efforts to return Stonehenge to a more tranquil, natural setting. 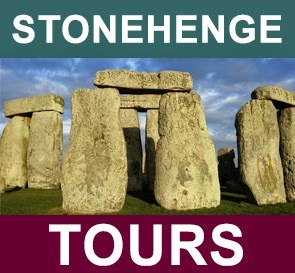 “Much of the powerful imagery of Stonehenge is drawn from its isolated setting on the windswept open Salisbury plains,” said Stephen C. Quinlan, RIBA, a partner of the London office of the architecture firm Denton Corker Marshall, which was responsible for the design of the new visitor center. Quinlan wrote in response to written questions posed by Civil Engineering online. The Stonehenge Exhibition and Visitor Centre “sits lightly on the landscape” and is meant to act as a counterpoint to the up to 40 metric ton stones, which “grow out of this landscape, their weight seeming to convey a sense of permanence and passage of time,” Quinlan noted. The new center “is conceived as a perforated, undulating metal sheet pinned to the ground by a series of fine metal columns under which [are] a block of timber and a block of glass,” Quinlan explained. As is true of many designs, its lightweight and relatively simple appearance is actually complicated to execute. 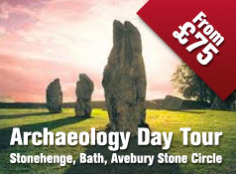 Visitor Centre is located 2.1 km from the prehistoric stone circle. The three structures that comprise the center—both of the single-story pods, one timber and one glass, and the undulating canopy roof—are structurally interconnected, according to Paul Swainson, CEng, MIStructE, a structural and civil engineering consultant in the Cirencester office of global firm Sinclair Knight Merz and the lead engineer on the project, who also wrote in response to questions posed by Civil Engineering online. The floating raft foundation has been placed atop fill located on retained topsoil, Swainson explained, to minimize the building’s impact on the site. By lifting the floor level so that the raft “floats” atop the fill, the design team was also able to minimize the differential settlement or rotations that might have been caused by soft spots in the soil. Inside the new visitor center, each of the 35 m by 35 m, steel-framed pods is topped with profiled steel roof decking that acts as a stressed-skin diaphragm and distributes the pod’s horizontal loads to its vertical stability elements, according to Swainson. The northern, glass pod contains cross-braced column bays positioned within internal partitions for structural stability, while the southern, timber pod is stabilized by timber insulated panels designed as stressed-skin diaphragms. The 40 m wide by 80 m long canopy roof that extends over the internal pods comprises “a steel grillage of curved and straight 200 mm by 100 mm box sections [that] supports softwood timber rafters and curved plywood sheeting [up] to the deck and soffit surfaces,” Swainson said. The 311 raking columns that support the roof extend from both the concrete raft foundation and from the pods’ roofs. The shorter columns, which spring from the roofs, “act as inverted cantilevers with a moment-resisting connection to the grillage beams to stabilize the grillage and transfer horizontal loads acting on the canopy to the pods, and thence to the raft foundation,” Swainson explained. Once the visitor center opens, work will begin in earnest to decommission the existing facilities and parking lot. The removal of these will bring the imagery of Stonehenge as an isolated, windswept site closer to reality. The A344 road, now closed, passes directly next to the circle’s “Heel Stone,” a stone marker located outside the circle that aligns perfectly with the rising sun during the summer solstice and the setting sun during the winter solstice. The A344 sliced through the “Avenue,” Stonehenge’s ancient processional approach, so its closure also reunites the approach with the stone circle. “The A344, being an ancient route and an early turnpike, is in itself of significant archaeological interest. As a result, the removal of the road was not planned as a straightforward engineering and landscaping task,” Swainson explained. Because the line of the road was established by a historic Act of Parliament, English Heritage required that it remain a visible, although unobtrusive, aspect of the landscaping surrounding the circle. The extent to which the road will remain was determined through a careful examination of the modern road’s subsurface layers. In areas where the grade of the road was deep enough to allow it, the existing pavement will be left in situ, “punctured to permit free draining and the deeper growth of grass roots, and overlaid with a defined depth of chalky soils to support the reestablishment of a natural chalk grassland,” Swainson explained. Approximately 50 percent of the closed road is at a grade that does not allow for it to be unobtrusively hidden in this manner, so the asphalt and macadam layers will be removed and chalky soil layered atop the road’s deeper stone layers. The restoration of the road surface back to grass is anticipated to be complete by summer 2014, according to English Heritage. The £27-million (U.S.$43-million) Stonehenge Environmental Improvements Program, which includes the visitor center and roadwork, also covers the construction of a series of small, reconstructed Neolithic huts that will be built by volunteers once the center opens. Stonehenge is located in an area of Britain that is home to a number of prehistoric sites that were constructed over a span of 2,000 years beginning in approximately 3700 B.C., according to the United Nations Educational, Scientific, and Cultural Organization (UNESCO). (See, for example, “Engineers Stabilize Deteriorating Cultural Relic,” in the Jnauary 2008 issue of Civil Engineering magazine.) Stonehenge has been identified as one of the world’s wonders since at least the 12th century, according to UNESCO.